Balmoral lies approximately 8 Kilometers north-east of the Sydney CBD. It is renowned for its esplanade and is home to the Rotunda, a dome like building that was built in the 1930’s and the iconic Bather’s Pavilion. 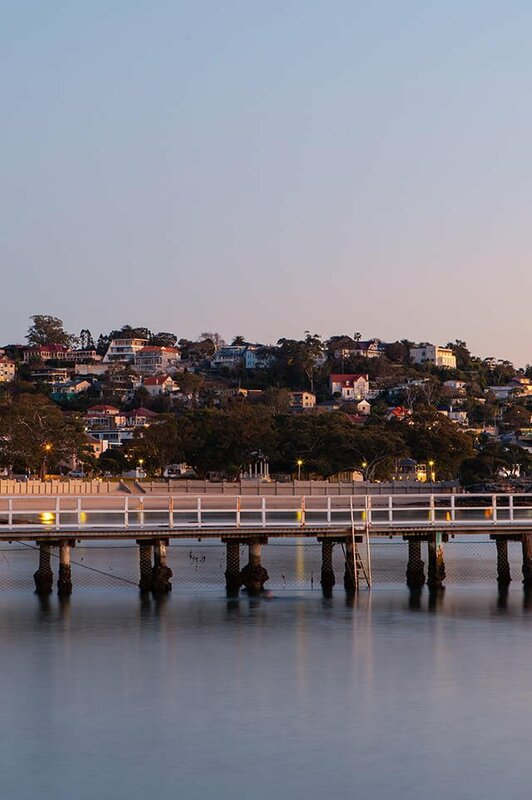 The white sandy beach of Edwards Beach and Balmoral Beach is divided by “Rocky Point Island’ a haven of calm, harbour waters, with local fish and chip eateries and their breathtaking views of Sydney Harbour Heads. A popular picnic spot for families and swimming enthusiasts. Balmoral consists proportionally of free standing houses or semi terraces. As you climb the steep hillside there becomes more condensed low rise apartments with a mix of federation and early 1950’s onwards to the local architectural landscape. It attracts a mix of both independent retirees and young professionals wanting close proximity to the city with the laid back beach lifestyle. Balmoral is serviced by local public bus transport including the hop, skip and jump. It is within a 10-minute drive to the Mosman Private, Royal North Shore, North Shore Private and The Mater in nearby St Leonards and neighbouring Crows Nest. The government school catchment zones are Mosman Public School. Balmoral neighbours some of Sydney’s elite private, high schools such as Queenwood and SCEGS Redlands and with immediate city access to a selection of Sydney’s Universities in the CBD. Do you need a Buyer’s Agent who can assist you to purchase a property in Balmoral?